It was on this day January 13th 1968, 47 years ago, that Johnny Cash took to the stage at Americas, Folsom State prison in Folsom, California. At the time it was Regarded as one of Americas most dangerous prisons and was a highly controversial performance. 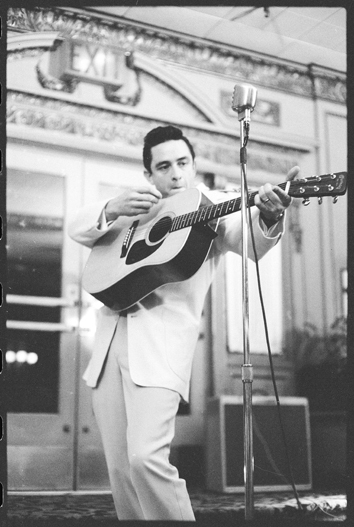 The show would go down as being one of Johnny Cash’s most famous and most exciting for Cash himself ” “prisoners are the greatest audience that an entertainer can perform for. We bring them a ray of sunshine into their dungeon, and they’re not ashamed to respond and show their appreciation.” Johnny Cash saw his performance at Folsom as a re-emergence in a new era of music that had grabbed hold of the likes of Bob Dylan, The Beatles, The Rolling Stones and was able to resurface from what looked to be a career that was waning “that’s where things really got started for me again”. Folsom prison Live is a remarkable work of brutally honest storytelling, that will be forever regarded as one of Johnny Cash’s most memorable and thought provoking performances of his career.